There are so many cameras out there that many of you having a hard time choosing the right camera for your needs. This top-ten list will help you with the most important aspects to pay attention on. 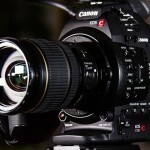 This list is addressed not only to filmmaking newcomers, but also to pro’s who constantly looking for a good production horse for their next project and are overwhelmed by the sheer massive wave on new cameras to choose from. Many customers fall for camera manufacturers marketing terms like high-framerates, very high resolutions, best lowlight, etc. But what worth is a super duper high framerate if it’s stored at a very low video bitrate or even lower resolution that the cameras standard resolution. Same with very high resolutions. Many new cameras already have a 4K badge on them, but nobody questions the datarate in which the video is stored. When shooting 4K video a absolute minimum is 200 mbit, better 300mbit. 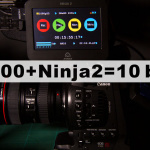 The reason is that when you go lower than 200mbit all the small details in your 4K video – which you most probably want if you shoot in 4K – are just compressed away to a mushy mess, you won’t see anymore small details in your video. Want to zoom into your 4K video for FullHD reframing? Better choose a video bitrate higher than 300mbit or your resulting 1080p video will look like a mobile phone video. And of course the same is for 1080p movies, which should at least provide 30mbit or more depending on the needs and camera using. Some cameras does provide a very nice image at 24mbit 4:2:0 at 1080p (like the Canon C100) but many fail in image-quality even at higher bitrates. So be aware and take testshots and look closely for artifacts, banding effects and learn how to use and interpret a waveform monitor and vectorscope. 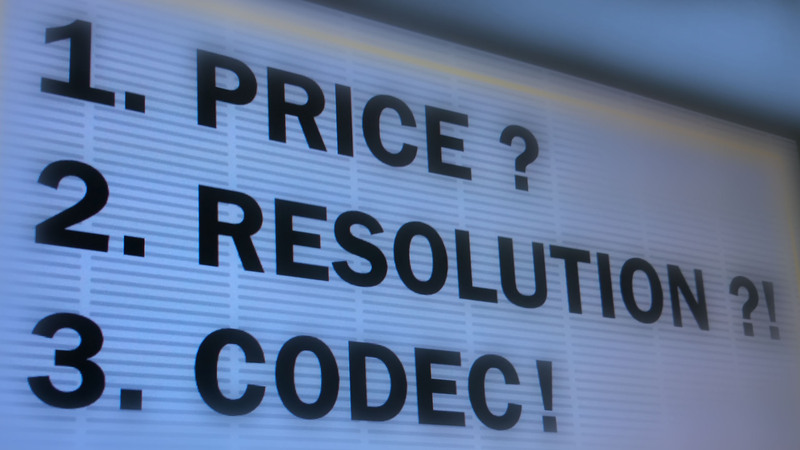 When it comes to editing the filmed material there is always the question of the codec choice. Codecs that are good for editing are Avid’s DNxHD and Apple’s ProRes and there are several external recorders that can be attached to a camera which then records directly to ProRes or DNxHD – it surely is one way, but it’s not practical and you have to hassle with an extra accessory which buts weight on the camera and reduces ergonomics. Check back with your editor which editing software will be used and which container/codec fits best for the editing environment. Some editing suits already supports many codecs natively without the need to convert and you can instantly edit but rely on some decent hardware to run fast enough like Premiere Pro, some claiming that many codecs are supported but are “internally” converted to ProRes like Final Cut X and some editing suits are restricted to one or two codecs which the systems needs for a professional editing experience like DNxHD for Avid. A Camera is not a camera is not a camera. Every camera is different, has a different sensor, has different image processing. Cheaper cameras lack in good image processing. Also cameras with a lot of features that seemed a “very good” price/feature point mostly economize image processing, meaning images look bad. 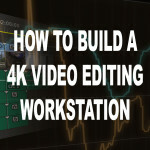 Some camera manufacturers care about image processing and deliver beautiful images even with non-pro codecs, but you have to look close and watch your waveform monitors and vectorscopes how the quality holds up when editing your digital film. As with the camera’s video-bit-rate there is the bit-depth of a camera’s codec. 98% of all cameras out there are 8-bit cameras, most of them consumer cameras. They don’t need more than 8-bit, because customers will probably not do fancy color corrections or color grading on their videos. But if your video needs color correction or if you want to grade your video you probably need a camera that is capable of a greater bit depth, more likely 10-bit or 12-bit. It is not said that 8-bit video material is not gradable, it’s just harder to retain quality and it depends on the camera which produced the 8-bit content. There are few very good cameras out there that records great quality video that can hold up grading very good and still record only 8-bit video, but with it’s limited 256 steps of R-G-B brightness (2^8=256) you have to choose a camera picture style that also really uses all 256 brightness-steps and you need to expose your scene very carefully. A common missunderstanding is that bit-depth is dynamic range. 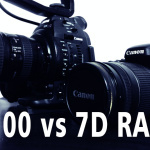 A camera’s dynamic range is how good the camera’s sensor is differenciating between the darkes and the brightes in an image. It is measured in aperture f-stops. Most cameras has a dynamic range of 8-10 stops, some professional cameras 10-13 stops, everything above 14 is marketing. Where does Color-Subsambling becomes important? When producing for broadcast delivery a color sub-samling of 4:2:2 or higher is a must. Lower color subsampling of 4:2:0 like many consumer cameras features reduces the horizontal resolution for colored pixels to a quarter, especially in reds. So when you film a beautiful face with nice skin details in FullHD (1080p), the details get lost when filming with a 4:2:0 codec, because you only get a horizontal resolution for you red pixels of 480 pixels. The color-subsampling is also a very important quality issue when shooting greescreen or bluescreen. For a high quality chroma-key you need 4:4:4 color subsampling (or at least 4:2:2) or you will most likely having a hard time keying out small details like hair without having huge messy outlines around them. If you buy your own camera you most probably work with it every day. So when a camera is hard to use, the functions are hidden, you have to press 5 button to get to a feature, you need to break a leg and a arm when you hold it and operate it. The Ergonomics are actually the second most important aspect of a camera, when you work with it on a daily base. When shooting creative stuff you actually won’t be bugged by some bad placed buttons or accidently activated funtions. And your wrist and shoulder will thank you after a long shooting day for choosing a ergonomic camera. So when choosing a camera, depending for what kind of shoot you need it, take a deep look on how easy you can use important features like ND filters, aperture settings, ISO settings at best these functions should be available on a dedicated button or wheel for fast and ergonomic use while shooting. When you buy a camera the price obvious is one of the most important aspects, especially when you’re a small independend filmmaker and not a big production house. On productions with big budgets there is mostly no question about what camera is choosen. You got Arri, Red, Canon, Sony with their big budget cameras and some other smaller players. But everything other than big budget film productions have to look closer what equipment fits the needs of the production. Often the gear is selected depending on the job and the expensive gear like cameras are rented. Basically there are two kinds of cameras to buy, the ready-to-shoot cameras and the modular camera systems. Red is one example for a modular camera system, you have to be aware to the fact that when you just buy a red basic camera, you can not shoot with it. You need tons of accessories for the camera for even a “normal” shooting. Every other more expensive digital film-camera above $10.000 needs at least lenses, some need viewfinder or an external recorder for them to work propperly. And it all goes down do complete little cameras like the Canon XC10, which has fixed zoom optics and internal mike and a very good internal codec. 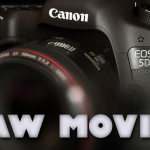 So you see, you need to look not only to the camera itself, but also what accessories are needed or even mandatory for the camera in order to work as intended and what cost will conquer you with this system, even later when editing the film you shot. You like cameras with slow reacting menues, locking up frequently, needs reboots, do things you don’t want? Right, you won’t. Buy cameras that are reliable, tested through and work regardless of the condition to a certain point. Camera are not perfect and they are no tanks. Cameras need to be handled with care, but when it comes to daily business, filming important scenarious, you want a camera that you can trust, that works day-in day-out. Sadly there are manufacturers that push out cameras very fast, that seems to be untested and not thought through, just to make more money. And guess what – consumers buy them because they are marketed agressively. For your enjoyment and frustration free work, buy cameras that work, that are known for reliability, even if they are a bit more expensive than the popular cheap ones. We can say that today’s video resolution standard for consumer cameras are FullHD 1920×1080. Some cameras has lower resolutions which is totally ok for consumer cameras. When you going to shoot for broadcast better go for FullHD 1080p, you can even go to 4K, especially if you want to go for big-screen film, which delivers great sharp imagery when choosing the right camera. So here is the catch. Many of today’s cameras already have a 4K badge slapped on them. Do you think they all look same in 4K? You guessed right, they don’t! Depending on the sensor’s quality, the image procesing quality and the optics used the image quality for 4K ranges from really badly compressed mobile phone videos to high end razor sharp film quality images. As mentioned before in points 1-4 one of the most important things is the codec a camera records your video. When the codec fails, then all the nice optics, sensor and image processing after it is worth nothing, nada, non-existent! Take a look at a cameras resolution in 1:1 size. Zoom in to it’s 1:1 pixel size and you will see the difference. Compare cameras, film a bit with them and look closely at the image sharpness, is it blurry, is it too sharp, does it show moire patterns. 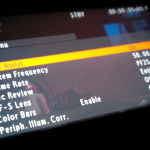 You won’t see it on the cameras lcd or viewfinder and you wont see it when you play it on a smart phone or tablet. Sit before a decent size monitor or tv-set and watch it closely in it’s native resolution. Regarding sensor sizes: choose it for your personal creative taste. There is no better. You can create very nice images with small sensors, but you can also produce crappy videos with big sensors. All sensor sizes has advantages and disadvantages, smaller sensors can make cameras smaller, can have more compact optics, bigger sensors have shallow depth of field, but optics are far more expensive, smaller sensors can have faster pixel readout, bigger sensors with less good image processing can introduce more likely moire, and so on. You see, all has pro’s and con’s. With some cameras sporting ISO to 400.000 and above one could thing that there is a new race for highest ISO ongoing. No doubt about it. Is it necesarry? Hell, no! We need cameras with a decent noise-ratio at a decent ISO level. Let’s say we have a native sensor ISO rated at 800, than we should expect noise free imagery up to 4000-5000 ISO with noise slowly rising above this levels. Everything above ISO 50.000 is again marketing and mostly not usable, but nice to have if the quality is acceptable, but it’s not that important. On the other hand, if a camera is not clean at ISO 800 and introduces noise or other strange artifacts already at the native ISO or just slightly above, you can put the cam into the bin. You will have many problems filming in certain situation where you depend on low natural light and when starting editing and you see grain at normal lit scenes, that you will gonna dislike this camera. The last point on this list is expandability. It really depends on what you shoot and how you shoot. 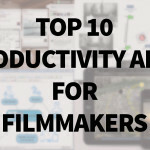 In some situations you could easily reverse the priority of this list and can live with it, but it will have it’s downsides and you will probably have more work to do on your shoot and the post-production of the film. You will probably want to have professional XLR audio, SDI in/out, Timecode in/out, tons of 1/3″ screw-holes, external recorders, external mikes, external power solutions, etc. etc. You probably need all this in your professional production, but it is not the most important point on a camera. You see, the top priority is the codec. Why you ask? Read all points above! In reality it is a mix of all of these 10 points from this list with a certain priorities when choosing a camera for your production. Choose the right tool for your work and choose wisely. Do not trust marketing. What are your priorities when buying a camera? We want to know what’s your opinion in the comments below.